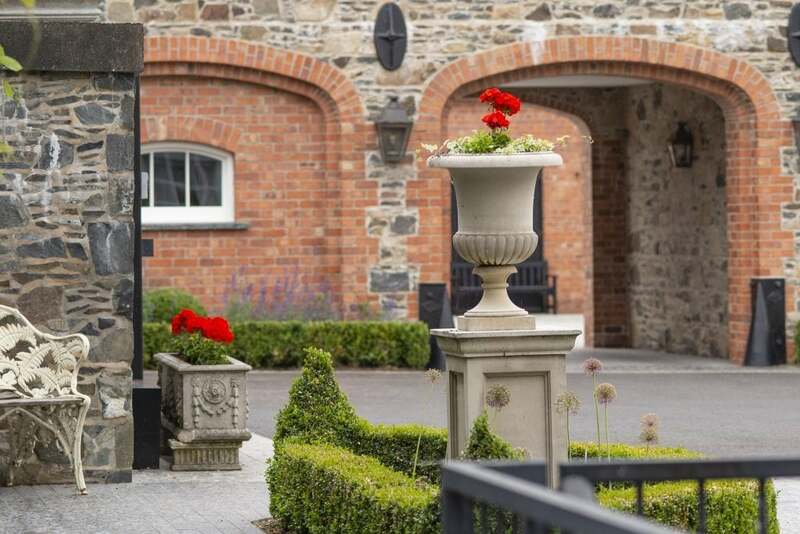 We are enchanted to welcome the Coach House in Dromore, County Down, to the Boutique B&B portfolio. Only our second Northern Irish listing, we’re delighted to offer a property in one of the most beautiful places to visit in the world – with the travel press putting Belfast and the North Antrim Coast at the top of every traveller’s must-see list. 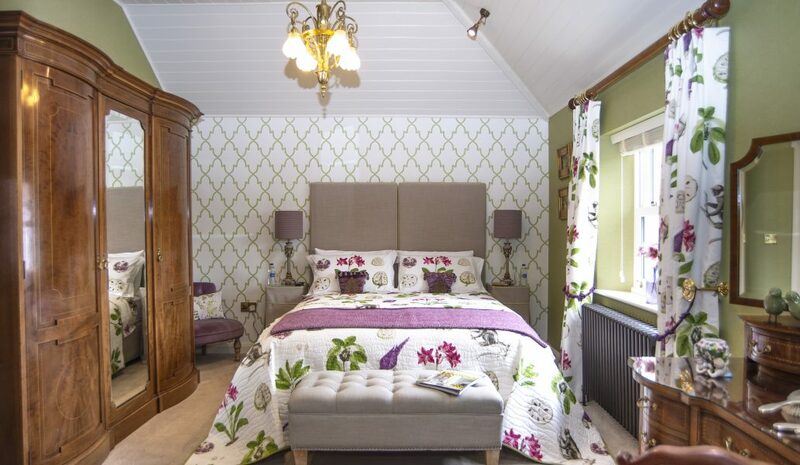 The Coach House has been a labour of love for owners Sharon and Andrew Tinsley. 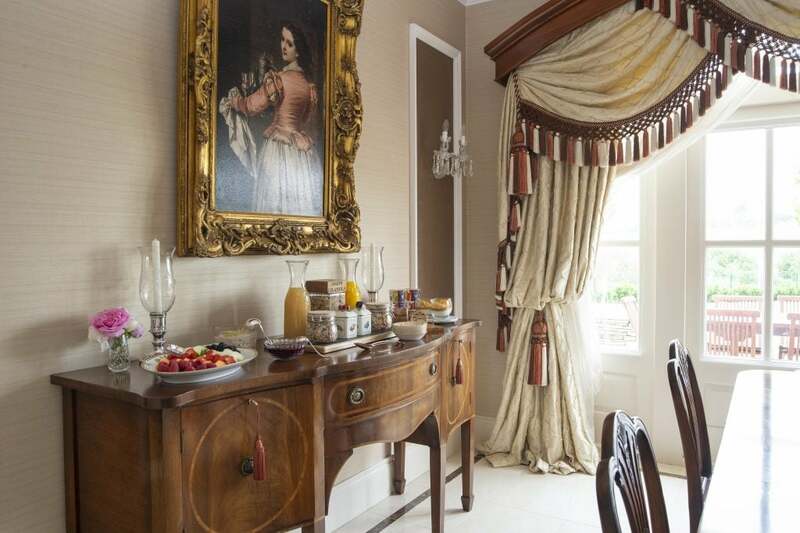 Constructed from reclaimed materials in 2016, and to designs drawn up by award winning architect Des Ewing, The Coach House captures the style of an Irish coaching house around 1850. Coach houses in this part of the world would have been busy, used by traffic travelling up and down the main road, from Belfast to Dublin. The main road still exists and offers a quick route to the Irish capital, Dublin. Dublin is well worth a day trip to see the stunning Trinity College Dublin, home to the ancient Book of Kells, but it also places Dublin airport and seaport in easy reach of the Coach House. 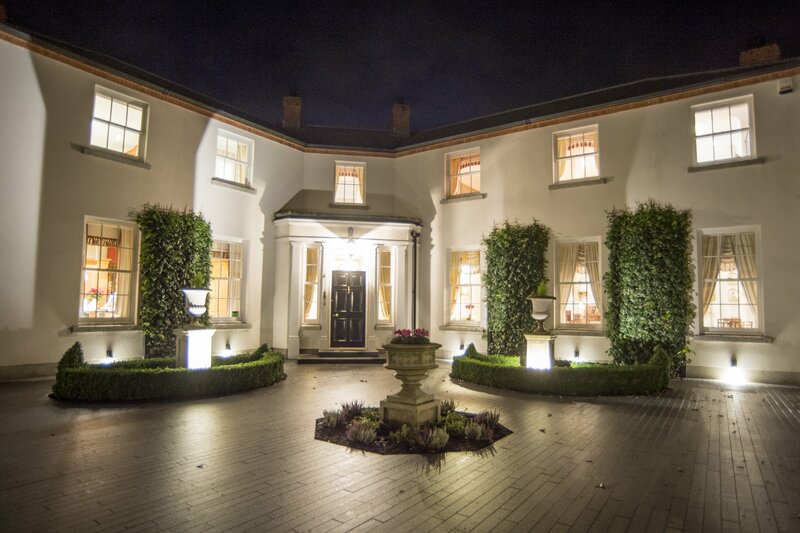 Within 25 minutes, guests at the Coach House can be in the heart of Belfast City. The city centre is pleasantly bustling with great shopping, restaurants and bars, as well as the historic City Hall which houses a wonderful café, the Bobbin, with an interesting exhibition on the history of the city. Belfast has emerged from troubled times and, while things have certainly changed, the spirit, humour and warmth of the Northern Irish people is as beguiling and welcoming as it ever was. Crossing the Lagan – the same river that runs by the Coach House itself – will take you to the Titanic Quarter. Home to the Titanic Experience, guests will be able to see for themselves why it was named the ‘World’s Leading Tourist Attraction’ at the World Travel Awards in 2016. If you hanker after more strenuous activity, then the Mourne Mountains are a rich playground for outdoors activities, including hiking, mountain biking and fell running. The Mourne Mountains sweep down to the sea at Newcastle and provided inspiration for the Percy French song of the same name. Northern Ireland has a rich literary heritage with many famous writers, including Oscar Wilde and Samuel Beckett, spending part of their life in Ulster. Another such writer was CS Lewis, born in Belfast, who found inspiration for Narnia in the mountains of Mourne themselves. The Coach House hosts, Andrew and Sharon, pay careful and close attention to their guests needs and understand that at the end of a long day’s exploring, guests want comfort and luxury to relax and unwind in. 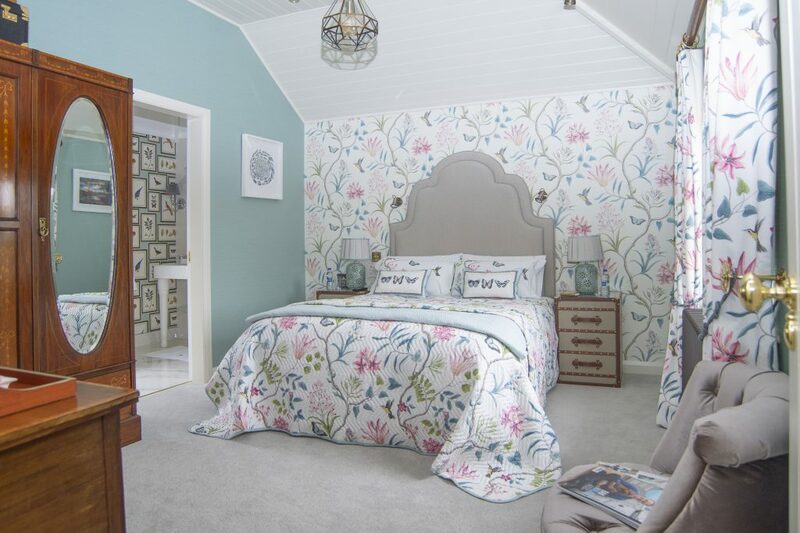 As well as creating two gorgeous rooms in the Coach House that guests have exclusive use of, they have also developed a spa area, with heated changing facilities for the ultimate spa experience. 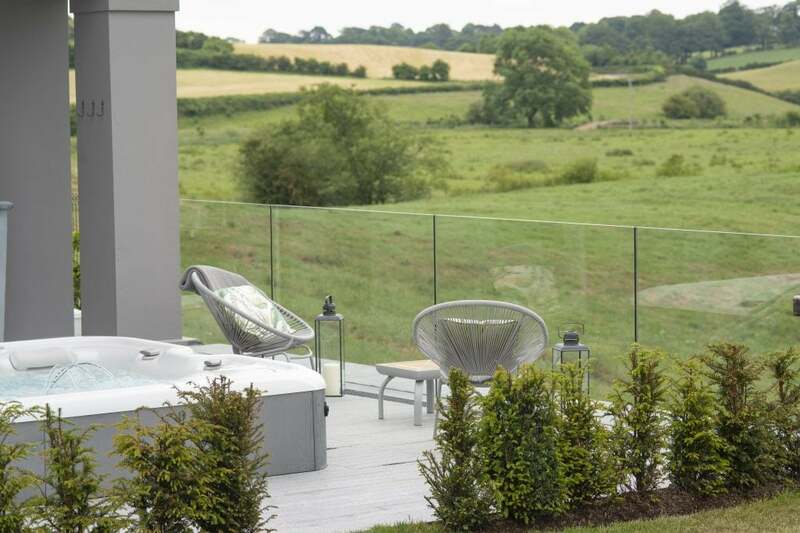 It’s easy to put one foot in front of the other as you take in the sights and sounds of Belfast, the Mourne Mountains or the great North Coast, when you know that you’ll be able to unwind in your own hot tub, deep in the Northern Irish countryside.